Students are being targeted by companies trying to profit from the current changes in Washington. Don't fall for it. 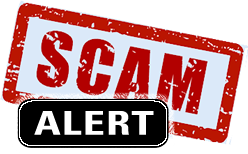 Recently, a third-party debt relief company, claiming to be the Department of Education, has been leaving voicemail messages for student borrowers claiming that they must act immediately to qualify for student loan forgiveness before the program is … [Read more...] about SCAM ALERT!! !